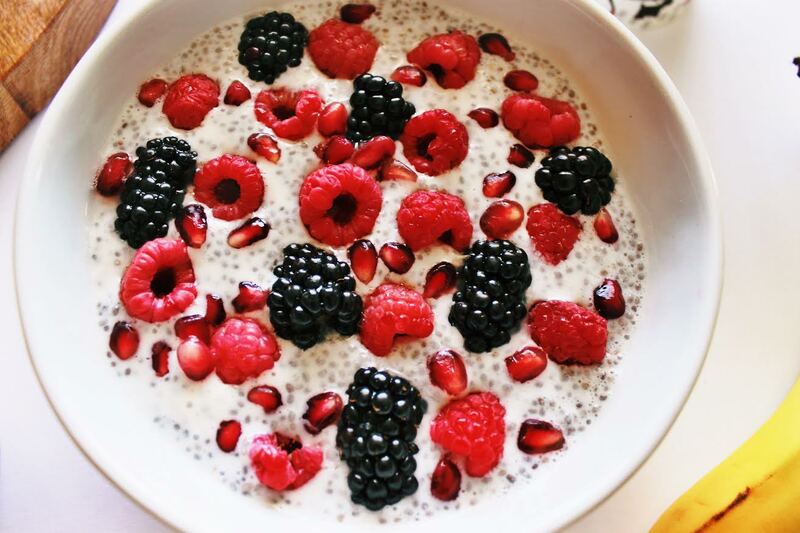 Chia seed pudding has become one of my favorite foods to eat for breakfast. One of the best things about it is that you can make it the night before in just a few minutes. Trust me, you’ll be happy you did. Chia seeds need a few hours to thicken and gel, which is why it’s best to make your pudding the night before. While I enjoy eating chia pudding primarily for breakfast, this recipe also makes a great afternoon snack as well. Chia seeds have been having quite the moment for the past few years. And it definitely makes sense as to why that is. These tiny black seeds are among one of the healthiest foods on our planet. 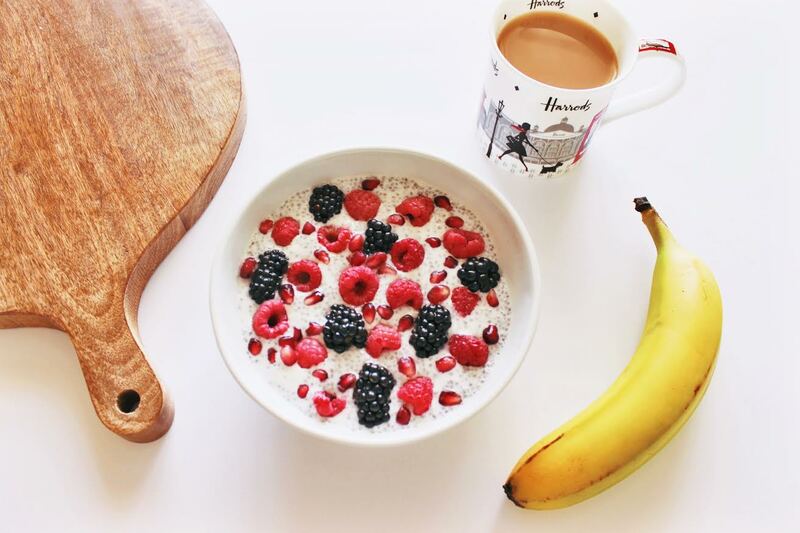 One reason chia seeds are a great option for weight loss is because they deliver an exorbitant amount of nutrients for the brain and body with very few calories. They’re loaded with antioxidants, packed with fiber and high in quality protein and omega-3 fatty acids. They definitely take the term “superfood” to a new level and are well-deserving of that term. If you’re currently eating cereal, toast or a breakfast bar in the morning, I suggest you give this option a try! I don’t know about you, but I get really bored of eating the same foods and need to switch things up frequently. You can take the jar of your pudding with you to work, school, the gym or wherever you’re off to in the morning. You can also easily substitute any of the ingredients below if you prefer coconut or dairy milk to almond milk for example. Hope you enjoy! 1. Mix chia seeds, blue agave syrup, vanilla yogurt and almond milk in a bowl or glass mason jar until all ingredients are mixed together well. Let it sit in the refrigerator overnight. 2. 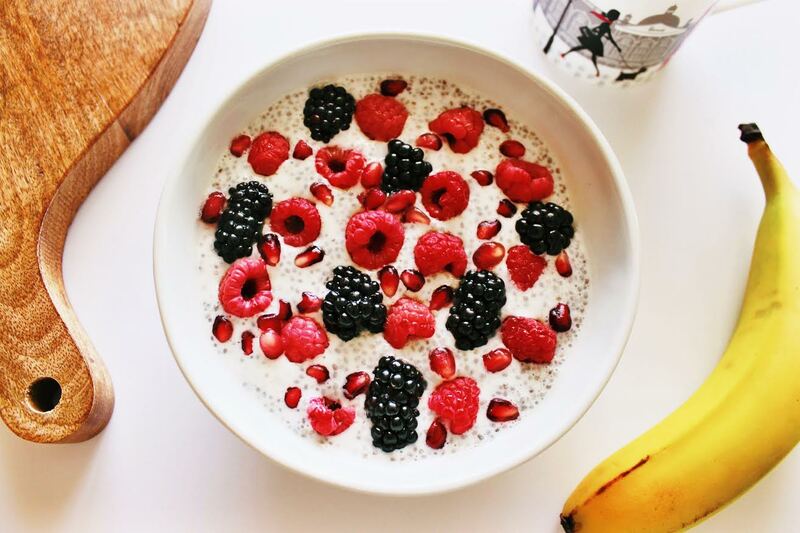 Remove it from the fridge in the morning and make sure your chia pudding is thick and the chia seeds have gelled. Top your bowl or jar with pomegranate seeds, blackberries and raspberries.